I have always loved makeup! I have worn it since middle school, but just stuck to the basics. However, I have stepped up my makeup game within the last couple of years. I used to never wear lipstick or do anything to my eyebrows, now I can't go without lipstick. I guess you could say that the older I get, the more I step out of my comfort zone when it comes to makeup. I still don't do the contouring or highlighting, but I think I still wear a good amount with a full coverage look. I love changing my look up with each season, especially my eyeshadow and lip colors. So now that Spring is officially here, I'm sharing with you my makeup must-haves that will brighten up your look and have you ready for those beautiful sunny days. These are all the products that I am currently wearing this spring. Do you change your look up with the seasons? 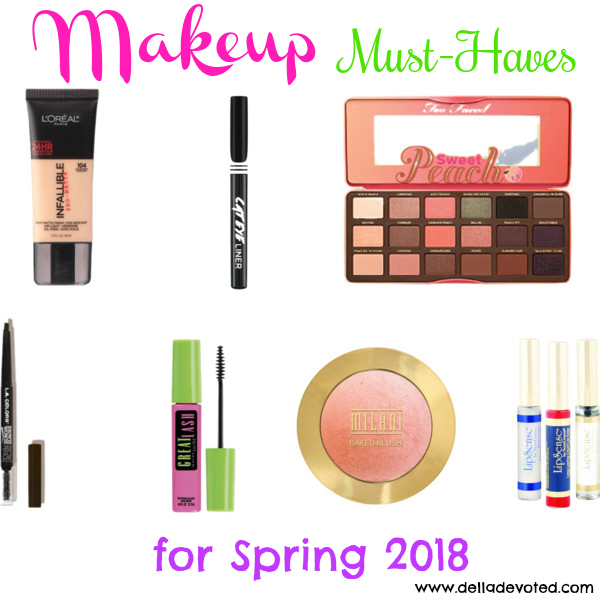 What are your favorite makeup products for Spring? Today I'm linking up with my friends over at The Blended Blog for their "All About Makeup" Beauty Edition.